(Gallatin County, Mont.) 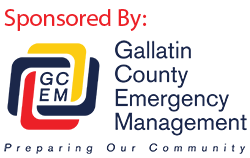 On Thursday July 12, 2018 at 2:54 pm., the Gallatin County Dispatch Center received a call reporting an injured ATV rider ten miles up from the Buck Ridge Trailhead south of Big Sky. The injured party, a 32-year-old male from California, had sustained a shoulder and rib injuries when the ATV he was a passenger in rolled while trail riding. Personnel from the Sheriff’s Search and Rescue in Big Sky responded on ATV’s and motorcycles, complete with all the necessary rescue gear and emergency medical equipment. Rescuers met the injured party at the scene of the crash approximately one hour after the initial call for help. The injured male was traveling with a group of friends who were also on ATV’s. After an initial assessment of his injuries, rescue personal braced and secured his shoulder and loaded him onto one of their rescue ATV’s. The patient was transported back to the trailhead and turned over to family members, who then transported him to the Big Sky Medical Center for treatment. Gallatin County Sheriff Brian Gootkin would like to remind ATV riders to use caution when recreating in the backcountry, even when on a marked trail. Changing terrain and trail conditions can sometimes bring unexpected problems to a fun day of backcountry riding. Always remember to ride with a partner and carry a reliable means of communication in case of an emergency.